As sustainability and environmentally-friendly practices become an increasing concern for people and businesses alike, many are beginning to take a closer look at products that used to be common place. In the landscaping industry, this couldn’t be truer than for synthetic fertilizers. Beginning over 90 years ago, the Green Revolution allowed for greater crop yields due to the introduction of synthetic fertilizers all over the world. It’s only recently, however, that researchers and concerned citizens have begun to discover the unfortunate effects that using such chemicals on soil can have on plants and animals alike—humans included. At Schill Grounds Management, we consider ourselves to be stewards of the environment because we work so closely with the land. We know that if used improperly, the products we use can cause great harm to the places so many people live, work, and play. Because we care so much for the environment, we wrote this short article about why we think more property managers and owners are switching from synthetic to organic fertilizers. We’ve written a couple of articles that describe the impact that chemical fertilizers have on the earth in depth, but it bears repeating here. In short, synthetic fertilizers can harm the environment because their nitrogen and phosphorous levels are often higher. 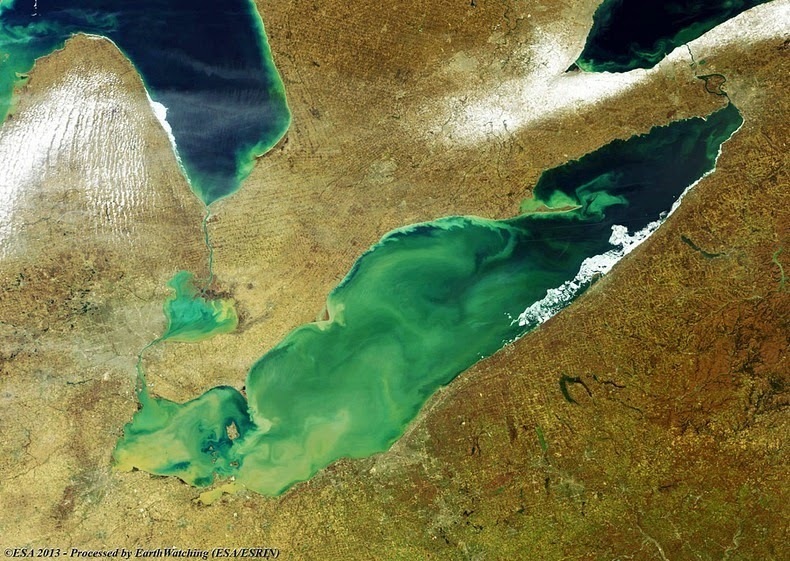 Phosphorous runoff from farms and landscapes that use fertilizer has contributed to the algae bloom in Lake Erie, which has been disastrous to aquatic life in the region. Some sources state that synthetic fertilizers kill beneficial bacteria in soil. Unfortunately, while this isn’t necessarily the case, the truth isn’t much better. Instead, bacteria and microbes in the soil are stimulated by the chemicals in synthetic fertilizer, which leads them to consume more organic matter than plants can put back into the soil. This results in soil that’s ultimately stripped of key nutrients that plants need, which is troubling because fertile soil is probably our planet’s most under-appreciated natural resources. History is riddled with tales of entire civilizations that have collapsed in the past due to soil exhaustion, and it’s time that society started looking for better ways to improve plant growth and yields. If you have a pet, you know that they like to put things in their mouths, and plants are no exception. 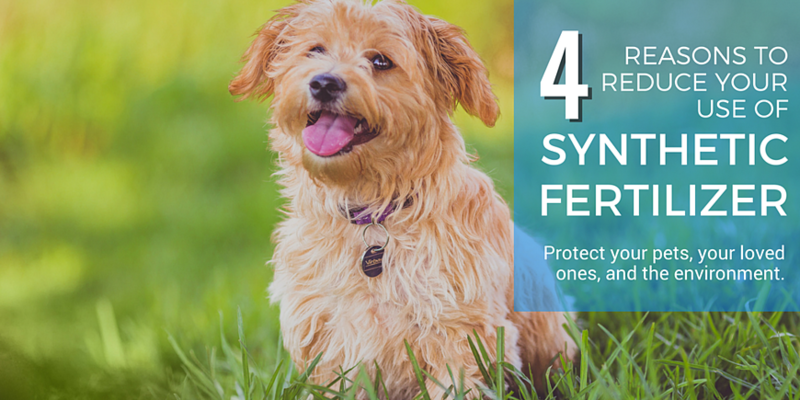 Cats and dogs that eat grass or other plants that have been recently treated with synthetic fertilizer can experience symptoms ranging from vomiting to seizures, and chemical fertilizer can even be fatal to animals that digest it directly. This is because synthetic fertilizers not only contain basic nutrients that plants need like nitrogen and potassium, but they also contain a cocktail of potentially harmful ingredients like pesticides, urea, and sometimes even arsenic. 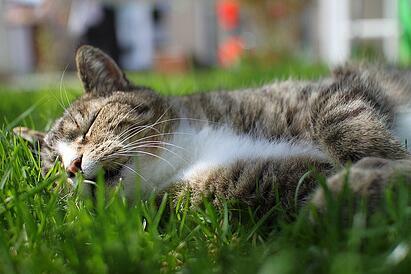 While some organic fertilizers are made from animal bone meal that can be harmful to animals if it congeals in their digestive system, the lawn care program that Schill uses is liquid and therefore much safer. But furry friends aren’t the only ones at risk from these products. The jury is out concerning just how harmful synthetic fertilizers are to children, but studies have found that their use correlates with everything from decreased fetal weight, to neurological effects, to cancers. The general rule of thumb is not to let children or pets into freshly fertilized areas until there has been ¼” of rain or 72 hours have passed. Want to know more about how to keep your landscape looking its best? Read our favorite resources on how to keep your turf healthy, proper irrigation, and proper fertilization. In addition to harming the environment, your pets, and your little ones, synthetic fertilizers can make plants weaker over time, which in turn makes them more susceptible to insects and diseases. 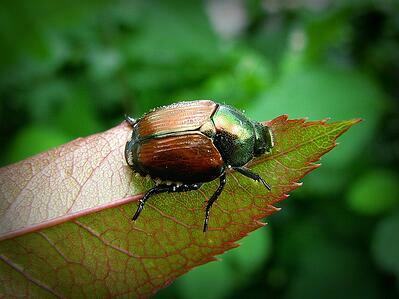 This is because pests can only feed on plants what have metabolic imbalances (i.e. that aren’t healthy) since they lack the enzymes necessary to break up the proteins found in thriving plants. Furthermore, soil that’s lacking in key nutrients will produce plants that are more prone to disease, just like a vitamin deficiency in humans can lead to a host of illnesses. This usually means that property owners and managers will have to increase their use of pesticides, weed suppressants, and fungicides. Users of organic fertilizers, however, often report 20-30% reductions in pesticide and fungicides, which can result in massive savings for those who manager larger properties. Our reliance on chemical fertilizers over the past 60 years or so led to a massive lack of research into making organic fertilizers better. Now, however, companies like Holganix and Advanced Turf Solutions have been heavily investing in research in order to develop fertilizer that heals the soil while naturally producing great results. This makes the best organic fertilizers better than their synthetic counterparts, which treat plants without treating the soil that sustains them. This means that in the long term, the synthetic fertilizer isn’t doing much to nourish your landscape. 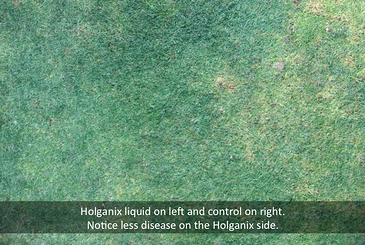 To prove that organic fertilizers are out performing their synthetic counterparts, here’s a series of blog posts from Holganix (pictured above) featuring real life examples of people who saw incredible increases in plant health by switching to their organic formula. The root length of the turf on one golf course grew by a factor of ten! 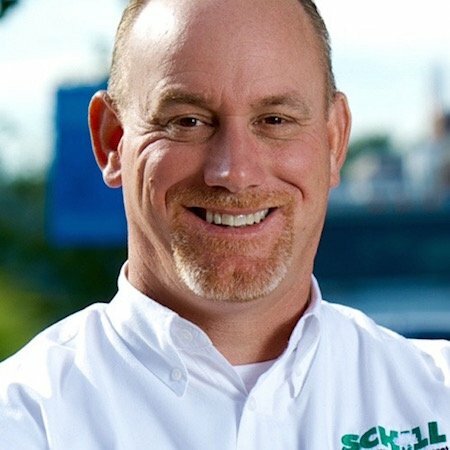 The Schill team is always looking for new and innovative products that help make landscapes healthier while minimizing our impact on the environment. We’ve developed great relationships with companies who are doing ground-breaking research in plant nutrition. Please contact us if you’d like to learn more about how sustainable landscaping can transform your property and your company culture, or download our ebook on the subject below.